This year’s annual conference of the International Association of Commercial Administrators (IACA) was held last month in Savannah, Georgia. IACA is the trade association of filing officers that oversee business entity and UCC records (or their equivalents) in U.S. states and around the world. The conference was well attended with representatives of 42 states, the District of Columbia, 4 Canadian provinces and 15 foreign countries participating. As usual, the sessions concentrated on matters pertaining to business entities (corporations, LLC’s), the Uniform Commercial Code and the information systems initiatives of the various filing offices. In this first of a series of postings about news from the IACA conference, we’ll be sharing what was discussed at the conference regarding benefit corporations. Benefit Corporations Gaining Traction in the U.S. Currently, 30 states and the District of Columbia have benefit corporation laws and an additional 9 states have pending benefit corporation legislation. Note, however, that the requirements differ from state to state. 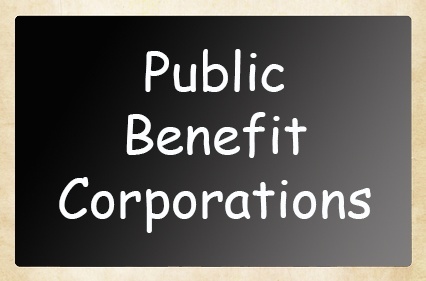 For example, Delaware currently has a requirement that the words “Public Benefit” appear in the corporate name, a requirement that they are shortly going to eliminate. Delaware now has about 230 benefit corporations on their records. The state of Illinois had a very favorable response when this business entity type was first introduced two years ago, with 25 benefit corporations being filed shortly after enactment. Since then, the interest in this entity type has tapered off. Illinois currently has a total of about 63 benefit corporations. This entity type is fairly new in West Virginia where benefit corporations are formed in accordance with the Business Corporation Law and a single form is used for business corporations and benefit corporations – with only a checkbox on the form to indicate which type of entity is desired. In Tennessee, benefit corporation legislation was recently enacted and will become effective in January 2016. The Tennessee Bar Association did not support the Model Benefit Corporation legislation and, instead, based its statutory scheme on that of Delaware. As do many other states, Tennessee also allows professional corporations to utilize this entity type and, over time, law firms may take advantage of this aspect of the law using their pro bono work as the public benefit. The corporation must file an annual report that identifies the financial assets of the company, its social spending and its highest paid directors and employees (in the U.S., companies provide directors’ salaries in the “annual benefit report” to shareholders, but do not need to make that information public). The topic of benefit corporations is one that will require ongoing monitoring in the future as it appears this entity type is gaining traction in the U.S. – and beyond.